Well - what can we say! 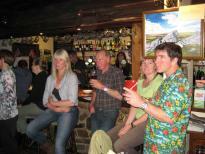 - a staggering £2,809 was raised at the Charity Auction on Wednesday 8th June. 50 Pledges were auctioned and every single one was bought! The evening started with a pub full of happy people - made even happier by the splendid buffet laid on by Simon and Corinna, owners of the Bridford Inn. Everyone came prepared with pockets full of cash, cheque books and credit cards. 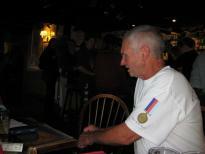 Sarah Eatherington got the audience in the buying mood by selling a box full of Help for Heroes wrist bands. 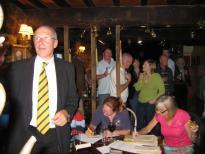 Chris Hampton, the Auctioneer, got the ball rolling with the first bid - a full valet for a car, donated by Yeoman Citroen. Bidding was slow to start but soon got going and a bargain car valet was bagged by Doug's daughter Jo. After that there was no stopping them - bids flew thick and fast. Within two hours every single pledge was snapped up, a home photo shoot, a days' work strimming, horse transport, rounds of golf - and so on. With Doug putting his best foot forward, walking North and South of the Border to raise funds, the villagers of Bridford put their thinking caps on to decide how they could support him and boost his target. “I’d be happy to donate some time doing gardening for somebody” said someone, “I’d cook a meal” said another. Soon we had a flood of offers. So the idea of an Auction of Pledges came about. The village of Bridford is lucky to have one of the best Inns in the area, the Bridford Inn, and Simon and Corinna Medland, the owners, kindly offered to host the evening. 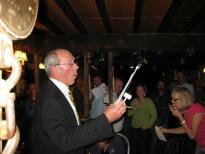 But an Auctioneer had to be found – no auction is complete without a “man with a gavel”. 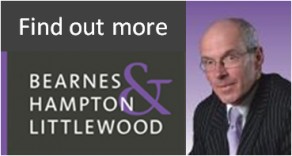 Enter Christopher Hampton from Bearnes Hampton & Littlewood, the well known Exeter based fine arts auctioneers. 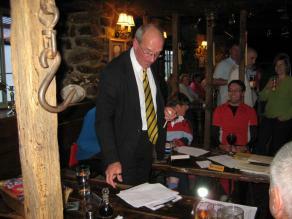 Christopher, with a little persuasion from Simon, has volunteered to be our star auctioneer. Our “Pledges” will probably not match the works of art he normally sells – but it’s all in a good cause and we are eternally grateful to Christopher for being such a good sport. 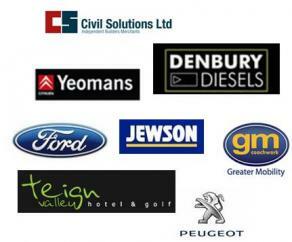 The Auction will be held on Wednesday the 8th June and will start at 8.00 pm. If Doug keeps to schedule (and he has so far) he will be joining us on his way down to Lands End for the evening festivities. With over 50 pledges so far – and more to come – the evening promises to be both a lively event and, hopefully, very profitable. We cannot thank everyone enough for the enthusiasm they have shown in offering their “pledges” so willingly, which just goes to show that the cause is worth supporting. Please come back to this page for a regular update on new pledges that have been received.